... WANNA KNOW THE BEST PART? IT'S TOTALLY FREE. So why did I create this eBook for you? There was a time in my life (in the not-so-distant past), that I desperately craved more. I felt unfulfilled, lost, and downright depressed. I knew something in my life needed to change but didn't have the slightest idea of how to make it happen. I wanted to wake up in the morning feeling excited. I wanted to have confidence in who I was, clarity in what I truly desired, and I wanted to feel... free. It all felt so out of reach. I was stuck and clouded with uncertainty, riddled with self-doubt, and constantly dissatisfied. I still remember the frustration, confusion, judgement, and fear. My belief? I'm not good enough - but not only that - I'm not worthy of living a life that brings me joy each day. I'm not worthy of living my dream. That's reserved for someone else. It's that mindset that leaves you... exactly where you are, unable to move forward. It feels suffocating and confusing. Change seems so far out of reach but the good news is, it doesn't have to. It's time to move forward. BEAUTIFULLY DESIGNED, ACTION-PACKED & READY TO UNLOCK YOUR INNER POWER TO CREATE A LIFE FILLED WITH MAGIC AND INTENTION. IT'S POWERFUL AND HEART-FILLED WORDS WILL GUIDE YOU THROUGH 7 SOULFUL LESSONS TO HELP YOU OPEN YOUR HEART, FIND CLARITY, DECLARE YOUR DESIRES, AND START SHOWING UP, IN A BIG WAY. Stop chasing, pushing, and striving for more, more, more - and start loving the life you have. Say hello to next-level confidence - and see fear as an ally rather than an enemy to wage war against. Get crystal clear on what you most desire - and take action, today. 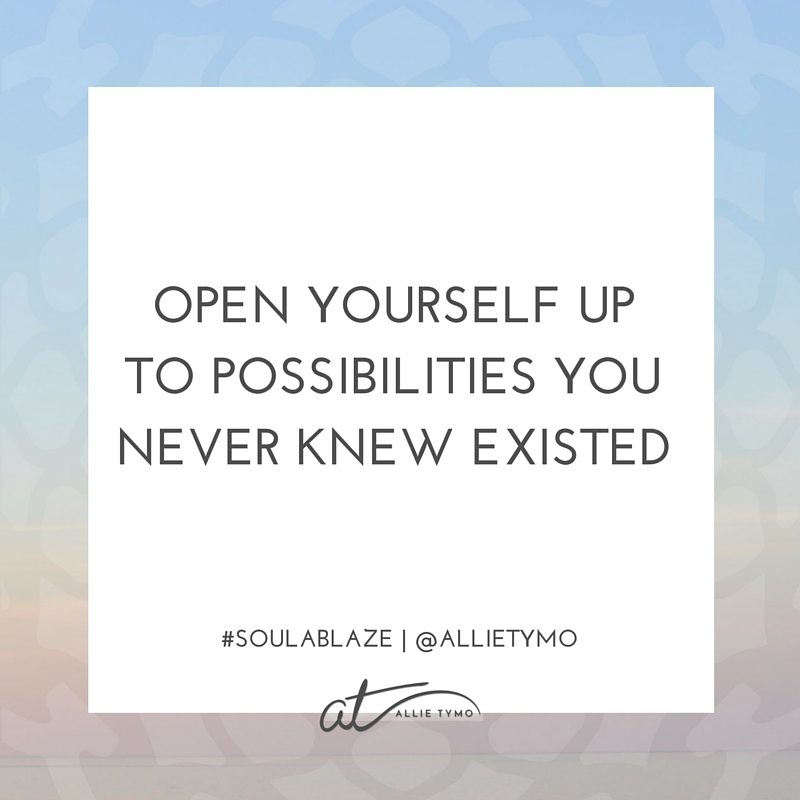 Have a deep knowing that you will be supported while dropping the expectations of how things "should" and "need" to be. Create real, lasting change in your life that will send your spirit up in flames - in the best way possible. If I had this guide years ago when I felt lost and didn't know where to start when it came to making change in my own life... this would have been a total game-changer. It's kind of like a heart-felt coaching session with me complete with powerful exercises, worksheets, and prompts designed to get you moving forward in your life, today. In other words, it's all kinds of awesome. Plus, you’ll instantly become a member of my community and tribe, with exclusive weekly updates, insights and ‘behind the scenes’ goodies that I don’t share anywhere else. I hate to admit it but I subscribed and then sent this to my "read later" folder. What a mistake! This e-book is absolutely phenomenal and anyone seeing this should sign up for it RIGHT NOW! It's beautifully written and gives great insight into living with intention. I can't believe it's free! LOVED SOUL ABLAZE? I WOULD BE WILDLY GRATEFUL FOR YOUR TESTIMONIALS.